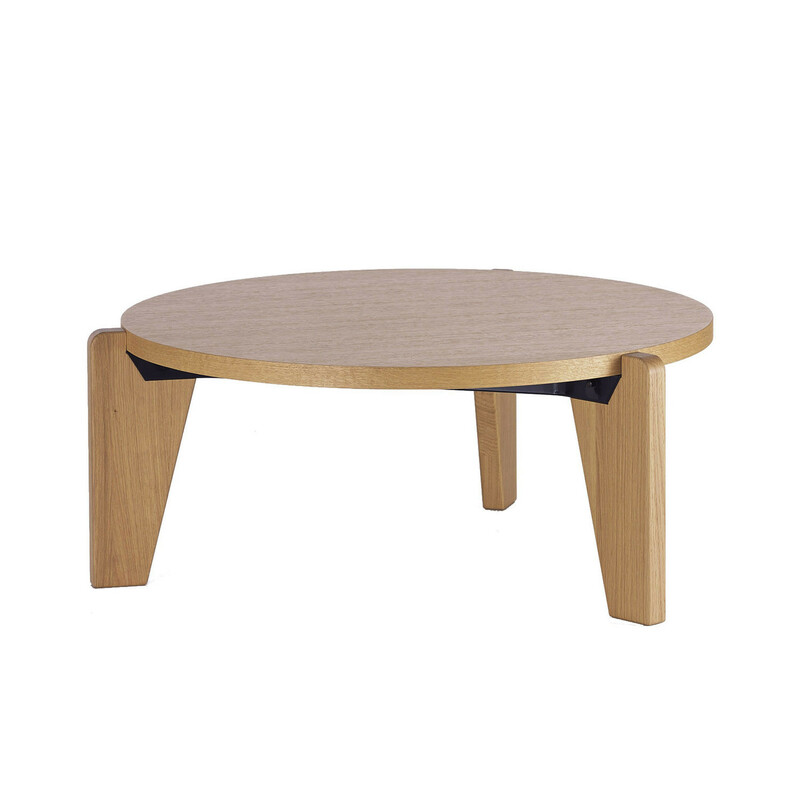 Gueridon Bas Coffee Table a sturdy top is positioned on three solid oak feet. The elements are connected to each other by means of a folded sheet metal construction. 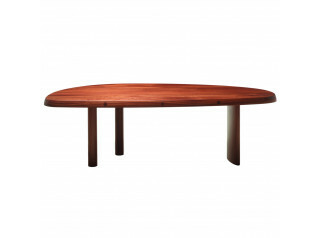 Referencing a tropical wood version of the time entitled “Table Africaine”, this re-edition is also available in impregnated dark oak. 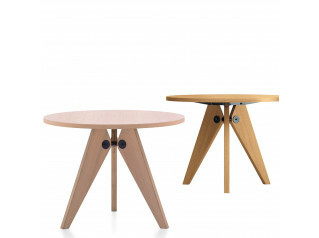 Materials used: legs made of solid oak, table top oak veneer, with natural or dark impregnation, natural wood look lacquer. 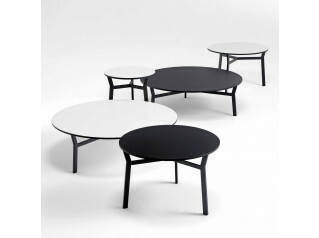 View more furniture designed by Jean Prouve. 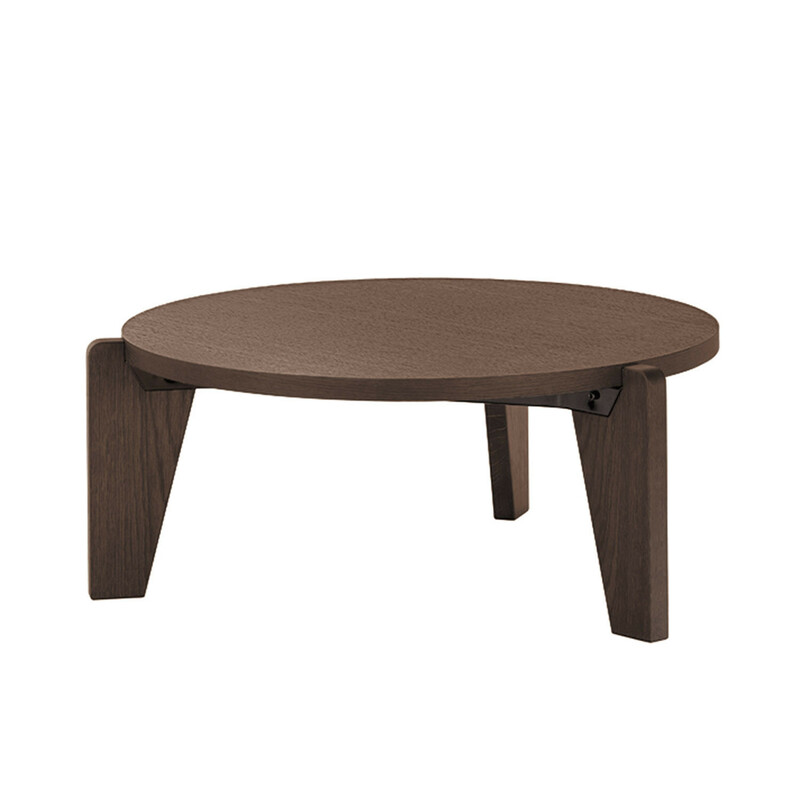 You are requesting a price for the "Gueridon Bas Coffee Table"
To create a new project and add "Gueridon Bas Coffee Table" to it please click the button below. 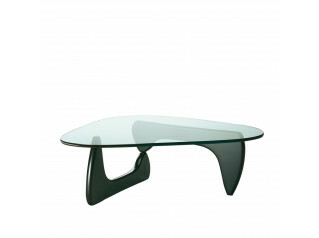 To add "Gueridon Bas Coffee Table" to an existing project please select below.